Brisbane based, we have nontheless completed projects right around Australia including in Sydney, Melbourne, Perth, Darwin, Cairns, Townsville, Rockhampton and Newcastle. Maximising your future revenues by using our extensive experience in designing and actually running Newsagencies and other retail businesses to optimise the layout of your premises. Some of our Directors currently run retail businesses ensuring we stay abreast of the latest trends to maximise your profits. The company is structured to offer a complete retail shopfitting service to clients. Manufacturing takes place in our own factory ensuring a high quality and efficient end product. Our team of key tradesmen are experts in project management and have developed successful working relationships with a range of quality sub-trades. 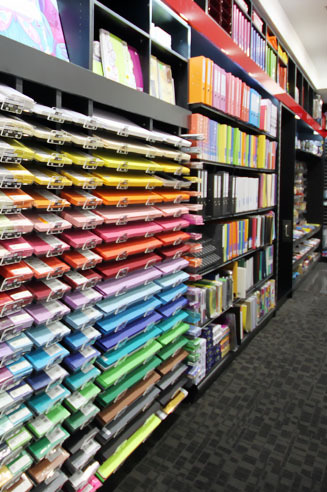 Our Brisbane shopfitting factory is home to an experienced team of designers, draftspersons and tradesmen offering more than 20 years experience in the industry, guaranteeing you a quality team of Newsagency shopfitters. 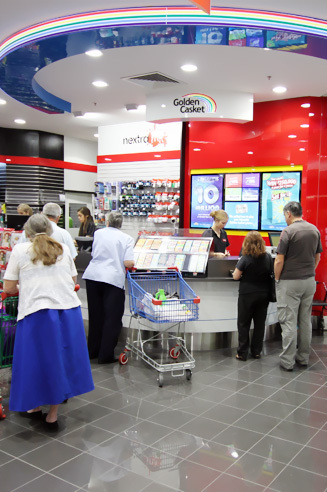 Outside the Newsagency industry Jadin Chemists, ABC Retail Centres, Wild Cards and Gifts, Foot Locker, Nandos and Pizza Hut are just a few of our corporate clients we have achieved great success and client satisfaction with.